In the past two decades, more than 187,000 American students have experienced a shooting during school hours, said journalists John Woodrow Cox and Steven Rich. The resulting fear and survivor’s guilt can linger for years. Thirteen at Columbine.Twenty-six at Sandy Hook. Seventeen at Marjory Stoneman Douglas. Over the past two decades, a handful of massacres that have come to define U.S. school shootings are almost always remembered for the students and educators slain. Death tolls are repeated so often that the numbers and places become permanently linked. What those figures fail to capture, though, is the collateral damage of this uniquely American crisis. Beginning with Columbine in 1999, more than 187,000 students attending at least 193 primary or secondary schools have experienced a shooting on campus during school hours, according to a yearlong Washington Post analysis. Samantha Haviland understands the waves of fear created by the attacks as well as anyone. At 16, she survived the carnage at Columbine High, a seminal moment in the evolution of modern school shootings. Now 35, she is the director of counseling for Denver’s public school system and has spent almost her entire professional life treating traumatized kids. Yet she’s never fully escaped the effects of what happened to her on that morning in Littleton, Colo. The nightmares, always of being chased, lingered for years. Even now, the image of children walking out of schools with their hands up is too much for her to bear. Mass shootings at predominantly white schools draw the most attention from journalists and lawmakers, but The Post has found that children of color are far more likely to experience campus gun violence—nearly twice as much for Hispanic students and three times as much for black students. In total, the Post found an average of 10 school shootings per year since Columbine, with a low of five in 2002 and a high of 15 in 2014. Less than three months into 2018, there have been 11 shootings, already making this year among the worst on record. Overall, at least 130 kids, teachers, and family members have been killed in assaults during school hours, and another 254 have been injured. Schools in at least 36 states and the District of Columbia have experienced a shooting. They happened in big cities and small towns, in affluent suburbs and rural communities. What all of them had in common was the profound damage they left behind. The day had just begun at a high school in Memphis when a sophomore walked up to a senior during gym class and pointed a .22-caliber pistol at him. In a room packed with 75 students on that morning in 2008, Corneilous Cheers, 17, opened fire, striking his schoolmate in the leg, the groin, and the head. As his rival bled on the floor, Cheers turned to their gym teacher at Mitchell High and handed him the gun. “It’s over now,” the teen said. Cheers, for example, shot the other teen after a feud that had peaked, investigators said, in an off-campus confrontation days earlier. Although determining motive is not always possible, the Post found that targeted shootings were about three times as common as those that appeared indiscriminate. This underscores just how difficult it is for schools to stop most shooters, particularly in a country with more than 250 million guns. The majority intend to harm just one or two people, so the attacks typically end within seconds, leaving little or no time for staff to intervene. In targeted shootings, gang members or estranged husbands attack students and educators on campuses simply as a matter of convenience—the perpetrators know where their intended victims will be and when. The emotional damage children suffer from these shootings can be just as crippling as what others endure during highly publicized assaults. A study published in the journal Pediatrics in 2015 concluded that kids who witness an attack involving a gun or knife can be just as traumatized as children who have been shot or stabbed. In the nation’s capital, and in states across the country, lawmakers are debating whether to hire more security guards, arm teachers, or do both. The Post analysis found that gun violence has occurred in at least 68 schools that employed a police officer or guard. In all but a few of those incidents, the shootings ended before police interceded—often because the gunfire lasted only a few seconds. Of the nearly 200 Post-identified incidents of school gunfire, only once before has a resource officer gunned down an active shooter. In 2001, an 18-year-old with a 12-gauge pump-action shotgun was firing at the outside of a California high school when the resource officer rounded a corner and shot him in the face. The NRA and other gun rights advocates have long argued that on-campus police deter school shooters. But do they? The Post analysis shows that resource officers or security guards were present during four of the five worst rampages: Columbine and Marjory Stoneman Douglas, Marshall County High in Kentucky earlier this year, and Santana High in California in 2001. At least once, however, the threat of encountering resistance influenced an alleged school shooter’s plan. In 2016, a 14-year-old in South Carolina attacked his elementary school rather than his middle school in large part because the latter, investigators said, had armed security. And, in several instances, resource officers appear to have saved lives without ever pulling a trigger. In 2010, after a man pointed his .380 semi-automatic pistol at a principal in a Tennessee high school, a resource officer drew her own weapon and shielded the administrator. The standoff continued until other officers arrived and killed the intruder. Introducing weapons into schools for any reason, however, comes with real risk. In 2004, a security guard approached a 16-year-old student she suspected of smoking marijuana behind a high school in New Orleans. After the student pushed her, she later told investigators, he appeared to reach for something under his shirt, so she shot him in the foot. The teen, however, was carrying neither drugs nor a weapon. Karson Robinson feels guilty about a fallen friend. There is no archetypal American school shooter. Their ranks include a 6-year-old boy who killed a classmate because he didn’t like her and a 15-year-old girl who did the same to a friend for rejecting her romantic overtures. They also come from backgrounds of all kinds. In some school shootings, the race of the assailant isn’t reported, but in those that are, the Post found, the shooter’s race almost always reflects the campus’s population, with white shooters attacking predominantly white schools and black shooters firing in predominantly African-American schools. The Post analysis also shows that dozens of gunmen shared certain characteristics. The median age of school shooters is 16, and male shooters outnumber female shooters 17 to 1. Most intend to kill specific people, and show no signs of debilitating mental illness, such as psychosis or schizophrenia. 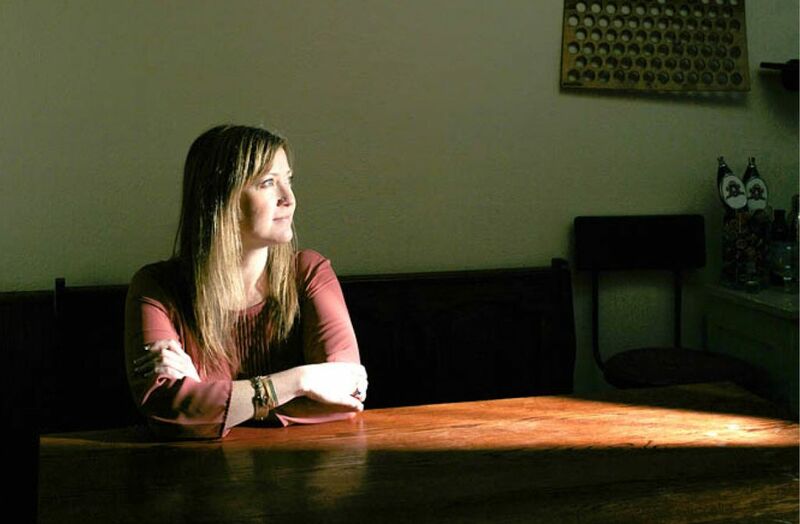 One day in 2008, Samantha Haviland sat on the floor of a school library’s back room, the lights off, the door locked. Crouched all around her were teenagers, pretending that someone with a gun was trying to murder them. No one there knew that Haviland, then a counselor in her mid-20s, had been at Columbine nine years earlier. On that day, April 20, 1999, she had been in the cafeteria, selling chips and soda from a food cart to raise money for the golf team. Then two girls burst into the room. Someone had been shot, they screamed. Someone had a gun. Haviland froze, but her friends grabbed her, and they fled into the back of an auditorium. Moments later, she heard four or five shots and an explosion. Everyone sprinted out as Haviland briefly paused to take off her high-heeled clogs. Barefoot, she ran into the hallway, and just as she reached one door, it closed. A teacher had pulled the fire alarm. She would later learn it saved her life, because down that corridor, Harris and Klebold were slaughtering anyone they could find. Afterward, as the shock and grief solidified her plan to become a counselor, Haviland didn’t get counseling herself. She didn’t deserve it, she thought, not when classmates had died or been maimed. But now there she was, a decade later, sitting in the darkness, practicing once again to escape what so many of her friends did not. She heard footsteps. Then, beneath the door, she saw the shadow of an administrator who was checking the locks. Her chest began to throb, and her body began to quake, and suddenly, Haviland knew she wouldn’t be OK. Researchers who study trauma still aren’t certain why people who experience it as children react in such different ways. For some, it doesn’t surface for years. For others, the torment overwhelms them from the start and, in many cases, never lets go. Karson Robinson was 6 when a teenager opened fire on the playground of his elementary school in Townville, S.C., on Sept. 28, 2016. 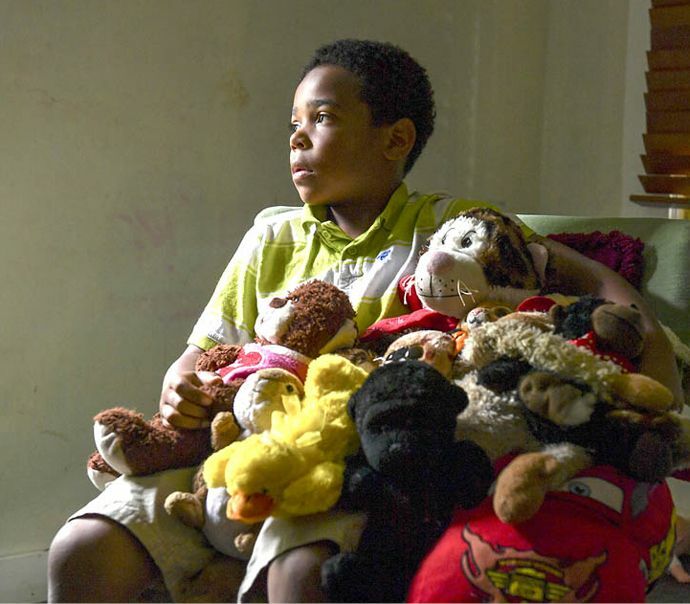 Three days later, on his seventh birthday, he learned that his beloved friend Jacob Hall hadn’t survived the bullet that hit him. That’s when the guilt took hold. Karson had leaped a fence and run at the first sound of the gunfire. Maybe, Karson thought, he could have saved Jacob, the smallest child in their class, if he hadn’t fled. At home, Karson began to explode in anger. Other times, he insisted that everyone hated him. “I should have waited for Jacob,” he said.